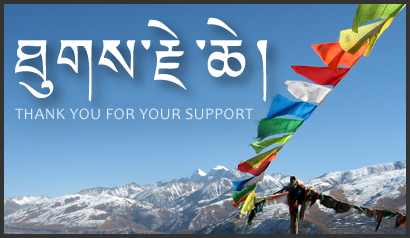 Sumthrang Monastery: Thank You All for your Support! As it was the 'Thanks Giving' holiday else where around the globe, Sumthrang Monastery would like to take the opportunity of the day to Thank Mangduechu Hydroelectric Project Authority (MHPA) and the Code of Culture (CoC) for granting few thousands that would make a great difference on the cultural preservation of Sumthrang. Had it not been your generous though small financial support, the world as a whole is at the edge of losing the over eight century old tradition and cultures that included most unique and sacred dances lived with Sumthrang. World would have suffered a loss of a culture, if this revival could have began. The cham dances of Sumthrang would not be any where on earth since the dances are by origin the dances of Sumthrang and not adopted from other dances. Some of the dances even predate the dances of Pemalingpa origin. Besides, we also take this occasion to thank Sumthrang Chojey Lam Jamtsho for making efforts in reviving the Chams almost single handedly despite his old age difficulties. 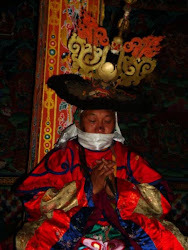 We also would like to thank Ashang Tenzinla the only elderly Sumthrangpa who also held some of the knowledge of Sumthrang cham in taking part to restore the chams and Ashang Kinleyla also for supporting the revival of the chams for the benefit of future of cultural world and Sumthrang in particular. We also would like to Thank Tashiphu Lama, trulku and the Sanga for providing dancers joining hand to support the revival and all those involved in the revival project. Thank you Lop Tshering Neema UMSS for volunteering your time and energy in supporting this good cause of religious and cultural importance.